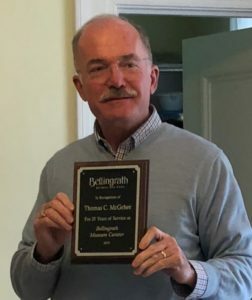 Museum Home Director Tom McGehee marked 25 years at Bellingrath in January 2019. He is shown with his guides. 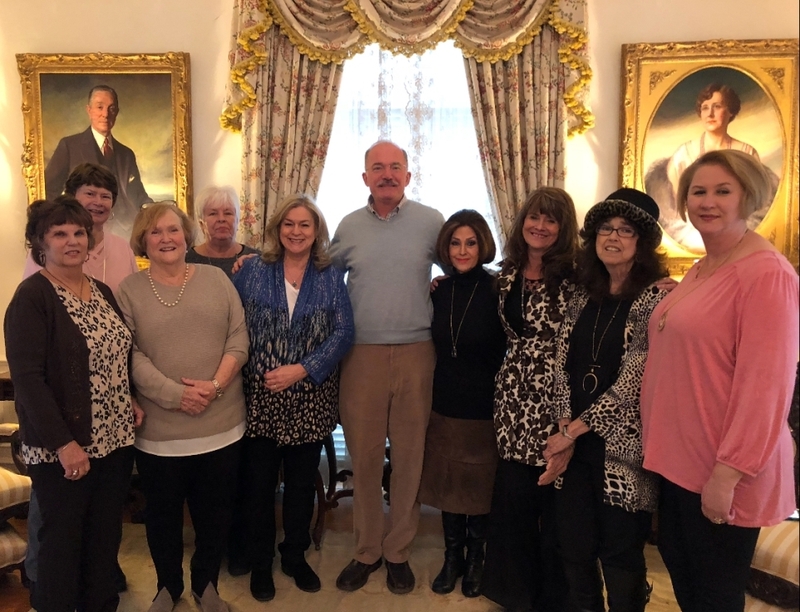 From left are Elizabeth Evans, Ethel Foster, Becky Fornwalt, Kathy Grimes, Francine Davis, Paula Moore, Juanita Waites, Nell Whitt and Cynthia Harnish. Tom McGehee celebrated his 25th anniversary as Museum Home Director on January 3, 2019. 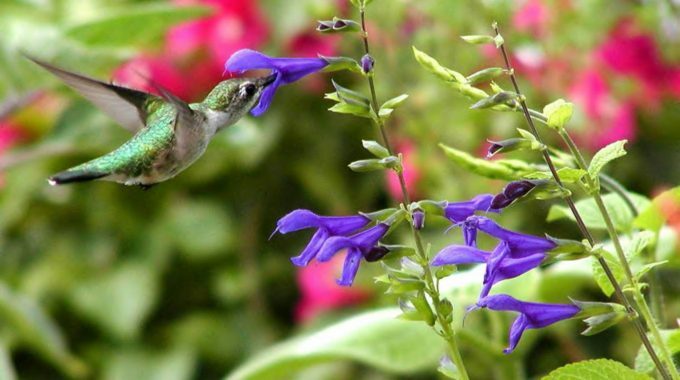 In looking back over 25 years, I have seen many changes at Bellingrath Gardens and Home. To me, the best has been the renewed attention given to our founders, Bessie and Walter Bellingrath. My first observation about the Bellingrath Home in 1994 was that it needed a good cleaning and things needed polishing. I realized that the printed inventory was hopelessly outdated and in time discovered numerous errors. This took years to correct, but the research never ends. Then I observed the tours. Visitors to the Bellingrath Home were walked through 15 rooms and given what amounted to an inventory of the contents. The major focus was on things. Coca-Cola was mentioned, and the fact that this place had once been a fishing camp, but who were the Bellingraths? What were they like? How did they use these spaces, these objects? No one ever said much of anything about them except that they died childless and left a foundation. 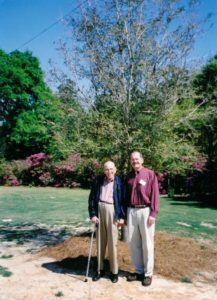 C. Ernest Edgar Jr. poses with Tom McGehee at the 2003 tree planting on the Great Lawn at Bellingrath Gardens in Mr. Edgar’s honor. 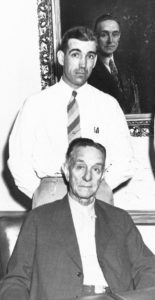 C. Ernest Edgar Jr. stands with his uncle, Walter Bellingrath, in his office at the Mobile Coca-Cola Bottling Plant in 1945. My friendships with Ernest Edgar Jr., a nephew of Mrs. Bellingrath, and Edward Carl, Mr. Bellingrath’s longtime chauffeur, offered me an insight into two very intriguing people from two different perspectives. The more I spoke to each of these men, the more I learned about Walter and Bessie Bellingrath’s personalities. And, sadly, the more we spoke, the more I realized no one from the Gardens had ever taken the time to ask them much of anything. They seemed to be thrilled that someone was finally asking them to recount their memories. Ernest was born the same year his aunt married Walter Bellingrath – 1906. He had grown up down the street from them in Mobile and was here on that memorable day in 1932 when the public first got a look at Belle Camp. In 1934, he drove the Bellingraths to California and back and was present at the first meal in their new home at the Gardens. 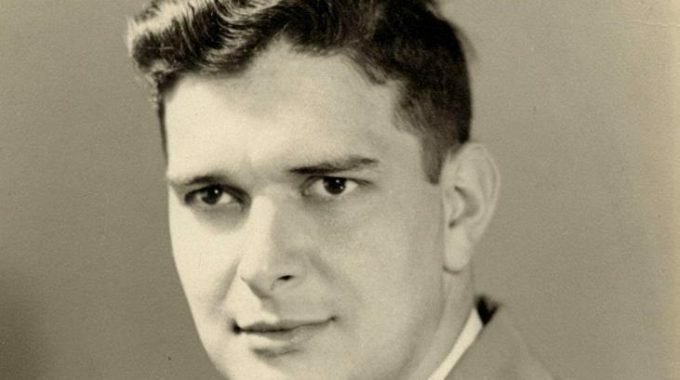 He even worked at the Coca-Cola Bottling Company with his uncle. I had the pleasure of being a member of the same Rotary Club with Ernest and we rode to its meetings each week for several years. 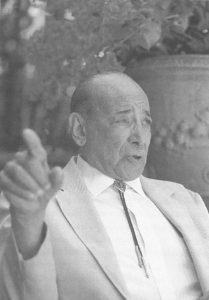 Ernest had been a Rotarian since 1934, and his uncle, Walter Bellingrath, had been a founding member of our club in 1914. Edward Carl had come to work in the Bellingrath Home soon after its completion. He was part of the staff that kept things running for the Bellingraths and their guests, and became a trusted friend to Walter Bellingrath during his final days. In fact, Edward Carl was the last person Walter Bellingrath saw before he died. The collective memories of these two men have led to more informative tours of the Bellingrath Home. Now, our guides are able to reveal more about the Bellingraths than just the objects they lived with. Guests learn that Mrs. Bellingrath was quietly helping countless people during the Depression by paying large sums for antiques or azaleas. She always made it seem the seller was doing her a great favor. 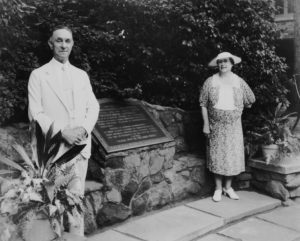 And that after her untimely death, Walter Bellingrath’s foundation was set up not just to fund the Gardens, but to maintain the Home and its grounds “as a fitting and permanent memorial” to his wife. No guest today misses that message. Twenty five years ago, guests often finished a tour with “Why did she want all this stuff?” In more recent years, I am happy to report that our guides are more often asked, “Did you know the Bellingraths?” After the guides recount these stories, the Bellingraths seem to come to life for our visitors, and that is just the way it should be. They had distinctive personalities and senses of humor, and, obviously, were very generous and special people. So, while twenty-five years of physical improvements to the Home and its collection are not to be overlooked, the smiles of our guests as they hear about Walter and Bessie Bellingrath are really priceless to me. I never tire of sharing their wonderful stories. 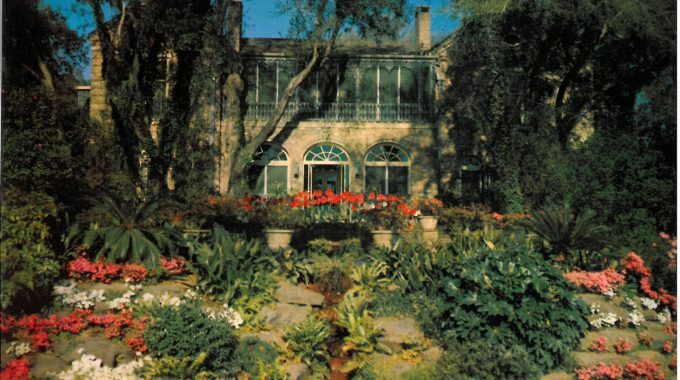 Who built the Bellingrath Home? Meet contractor Peyton Higgison Sr.